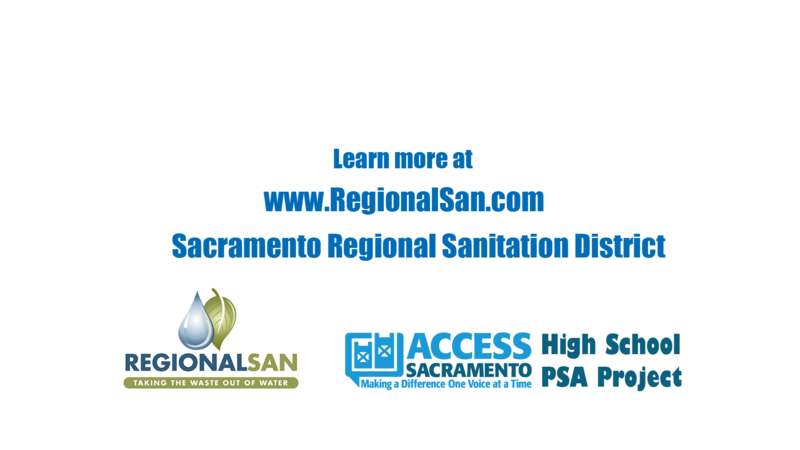 Access Sacramento has obtained a three-year grant from the Confluence Regional Partnership Program, funded by the Sacramento Area Sewer District and Sacramento Regional County Sanitation District. As part of this grant, students enrolled in high school media production classes in Sacramento County are invited to produce 30-second public service announcements (PSAs) on selected topics from the Sacramento Area Sewer District and Sacramento Regional County Sanitation District. Access Sacramento is proud to provide a Linked Learning opportunity for high school media production classes in Sacramento County to work with an industry partner. Students are given an opportunity to create a PSA for a local nonprofit or governmental agency. These organizations will then select as many of the PSAs as they like for cablecast on Access Sacramento. Selected PSAs will receive an Award of Excellence certificate from Access Sacramento. The clients will judge all of those selected and award cash prizes to the top six PSAs. PURPOSE: This is an opportunity to provide video production and animation students real-world experience in creating public service announcements for real clients. High school students will develop 30-second videos to communicate information requested by a client. Client-selected PSAs will air on Access Sacramento and will be used as part of the clients’ social media outreach and/or website use. ELIGIBLE PARTICIPANTS: This project is open to any student enrolled in an animation or video production class in a high school located in Sacramento County. Students can work individually or in groups of up to three receiving “producer” credit. Collect the Talent Release Form from each person appearing in the video and the Project Forms from the producers. You must keep these on file, do not send them to the coordinator. They will only be requested in the event of an issue. Either the teacher or the students can upload the video files to YouTube. See that YouTube links of each video submitted for consideration and judging are sent to the coordinator by March 5, 2019. Select an organization—the Sacramento Regional County Sanitation District or the Sacramento Area Sewer District and read the content criteria carefully. Develop a creative production that meets the client’s needs. This can be done as an individual project or as part of producer group of up to three. You can include as many people as you need on screen. Make sure the PSA is exactly 30 seconds long. Do not include credits. Give your PSA a unique name (not just “Sewer PSA”). The title does not need to appear in the actual PSA. It is just for reference. Complete the Project Release Form. 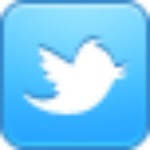 Obtain all needed signatures. Make sure the Project Release Form is completed with all needed signatures. Export the file as HD, if it was shot that way. Make sure your PSA is uploaded to YouTube. Either your teacher will do this or your teacher will ask you to do it and provide the link. Include the credits in the details field on YouTube. List the full names of the producers. If you use music under the Creative Commons license, you may also credit it in the details field. DO NOT set the video to PRIVATE, you may use UNLISTED. • Additional Award of Merit certificates could also be awarded at the judges’ discretion, without a cash prize. • Top four teachers who submit the highest number of PSAs will receive an Amazon gift card of $100.00. The winning PSAs (a minimum of ten), could then be featured on Access Sacramento and used in the social media outreach of the two clients. Access Sacramento will recognize the top winners on an episode of Live Wire, a locally produced news and events show. If you include any copyrighted materials, your entry must obtain PERMISSION WAIVERS or Creative Commons Licensing obtained from their sources. All videos, photos, and music must be original OR proof of permission to use the copyrighted elements must be obtained. Videos that contain unauthorized copyrighted elements will be disqualified. Note: You are permitted and expected to use the client’s logo. If you use music under a Creative Commons license, you may credit the music in very small type for a few frames at the bottom of the screen within the final moments of your PSA. Additionally, you may also credit it within the PSA’s YouTube description. Student producers must obtain release forms for any minors or adults appearing in the production. The forms are not collected by Access Sacramento, but the sponsoring teacher must confirm that the forms are on file. Up to three producer names can be listed on a project. - February 16, 2018[BP1] : YouTube links of videos submitted for consideration are sent to the coordinator. - March 05, 2019[BP2] : Access Sacramento selects winners, prints and mails certificates and student checks to appropriate schools. Release news bulletin about results. - March - April[BP3] : Access Sacramento live TV appearance on LiveWire! for the top six PSAs. • Sound: (Narration and/or dialog is clear; Music (if any) set the appropriate emotional response; Audio levels are appropriate) 20%; Music, if any, is used legally. Click here for the full size image to use at the end of your project. The Sacramento Area Sewer District (SASD) is a sewer utility providing sewage collection service to more than one million people in the Sacramento region, including the unincorporated areas of Sacramento County; the cities of Citrus Heights, Rancho Cordova, and Elk Grove; as well as portions of the cities of Folsom and Sacramento. SASD serves residents and businesses throughout the region. SASD owns and operates 4,400 miles of sewer pipes. That’s equivalent to the mileage it would take to drive from Sacramento to Chicago and back! SASD is responsible for the day-to-day operation and maintenance of these sewer pipes, as well as more than 100 pump stations that ensure the proper flow from homes and businesses. SASD provides a critical public service, one that people don’t often think about but would have a hard time living without. 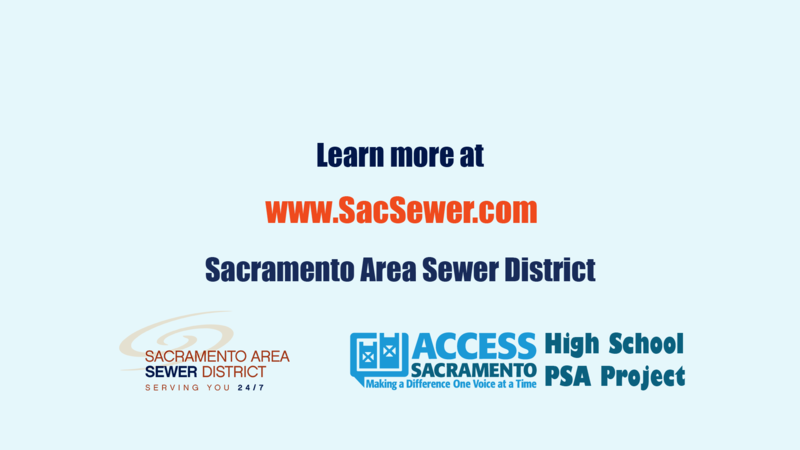 SASD is the largest sewage collection utility in the Sacramento region and the third largest in the state of California. SASD staff works around the clock, every day of the year to make sure their customers don’t have to worry about their sewer service. SASD is interested in developing public awareness in any one of the following three topic areas. Topic/Key Message: Sewer Problems? Call SASD First! Focus: At SASD, we like it when our customers don’t have to think twice about the public sewer system. We're the region's largest sewage collection utility, and our job is to get to your sewer problem before it interrupts your life. For us, providing excellent service isn’t optional—it’s our number one priority. When SASD’s customers have a sewer problem (e.g., backup, overflow, slow drain, etc. ), they should call us first—day or night—at (916) 875-6730. Our crews respond to sewer problems 24 hours a day, 7 days a week, and 365 days a year—including weekends and holidays. Our crews will determine if the problem is our responsibility or the customer’s to fix (learn more at SASD vs. customer responsibility). If it is SASD’s responsibility, we will correct the problem. If it is not, we will advise the customer on what to do next (e.g., call a plumber). Even if the problem is in the customer’s portion of the line, our service calls carry no additional cost to the customer. They are covered by the monthly sewer rates customers pay. Commonly used tagline: It's a dirty job, but we're happy to do it! Focus: Wipes, rags, paper towels, and other inappropriate materials are being flushed into the sewer system, causing serious problems for SASD’s equipment and maintenance crews. People should flush only toilet paper and human waste—nothing else. Why are wipes such a big problem? Disposable disinfectant wipes, baby wipes, and even so-called “flushable” wipes are causing problems for sewer systems around the world. These products do not break down easily (or at all) once they are flushed. They often clog our pipes and jam our pumps, causing costly and messy sewer blockages and overflows. In areas where wipes and other materials are flushed regularly, increased monitoring, maintenance, and repair is often necessary. This results in higher operational costs, which are paid for by customers’ sewer rates. Bottom line: People who use wipes should put them in the trash, not in the toilet. Commonly used tagline: Do the sewers a favor—when using wipes, trash ‘em, don’t flush ‘em. Focus: Fats, oils, and grease (FOG) that find their way down the drain create a huge problem for sewer pipes. In fact, FOG combined with roots in the sewer system can create massive clogs that cause more than half of SASD’s sewer backups and overflows! This can result in costly cleanup and repairs, as well as harmful environmental impacts. The Stop the Clog program engages residential customers, property managers, and the food service industry to promote proper disposal of FOG. Can it: Once cooled, pour leftover oils and grease into a sturdy container. Scrape it: Before washing, scrape out fats, oils and grease from pots and pans. Trash it: Put fatty and greasy food scraps in the garbage, not down the drain. This is a professionally produced PSA commissioned by SASD. Click here for the image to use at the end of your project. The Sacramento Regional County Sanitation District (Regional San) owns and operates part of the wastewater conveyance system and the Sacramento Regional Wastewater Treatment Plant located near Elk Grove, California. They serve residents and businesses throughout unincorporated Sacramento County; the cities of Citrus Heights, Elk Grove, Folsom, Rancho Cordova, Sacramento, and West Sacramento; and the communities of Courtland and Walnut Grove. In total, Regional San serves a population of about 1.4 million people throughout the greater Sacramento region. Wastewater is collected from customers’ homes and businesses via smaller collection pipes. These smaller pipes are operated by one of four local sewer agencies and connect to Regional San’s network of 169 miles of interceptor pipes. Interceptor pipes are much larger—up to 144” in diameter—and carry the wastewater to the Sacramento Regional Wastewater Treatment Plant. There, approximately 130 million gallons of wastewater are treated each day. Topic/Key Message: Don’t Flush Your Meds! 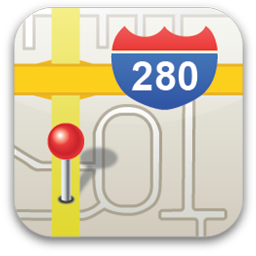 Check for local disposal locations near you. Check for local take-back events. Check with a nearby household hazardous waste facility. Learn more about these options at www.dontflushyourmeds.com. Topic/Key Message: Give Your House a Mercury Makeover! Mercury can be found in many common household products, such as fluorescent bulbs, silver thermometers, and older wall thermostats. If mishandled, these items can break, spilling mercury and releasing an invisible poisonous vapor that is harmful to human health. Take a few minutes to learn how you can make your home mercury free! Bring fluorescent light bulbs, old thermostats, silver thermometers, and other mercury-containing products to a certified disposal facility or recycling program. Many retailers will now accept used compact fluorescent light bulbs (CFLs) for recycling, so ask your local home improvement center. Question: Can a student enter more than one video? Answer: No, you can only submit one entry with your name as a producer. Question: Can I contact the client and ask questions about my PSA idea. Answer: No. Because of the number of students participating, we do not want to burden them with inquiries. The materials on this website should give you a clear idea of what the client wants. If you need additional directions, ask your teacher. Question: Is the PSA running time flexible? Answer: No. It must be exactly 30 seconds including a fade in/out. Question: Do I put credits on it? Answer: No. Like commercials, PSAs do not feature credits. If you need to include music credits as dictated by a Creative Commons license, then add that in a very small text at the bottom of the required graphic . Question: Can I put my favorite pop song in my PSA. Answer: No. You must follow the copyright law. Any music or sound effects must be used properly licensed. Question: I still have questions. Students with additional questions should ask their teacher. Teachers with questions can contact PSA Project Coordinator Brad Clark at bnclark@egusd.net or Gary Martin, Executive Director of Access Sacramento, at Postmaster@AccessSacramento.org.